The circular drive of Petit Trianon Inn can easily be seen in the aerial. 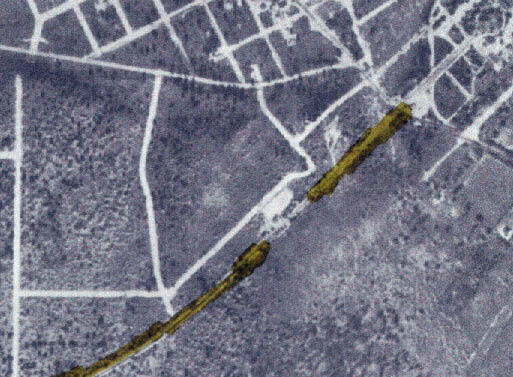 In between the yellow highlights was a black line crossing the Motor Parkway. 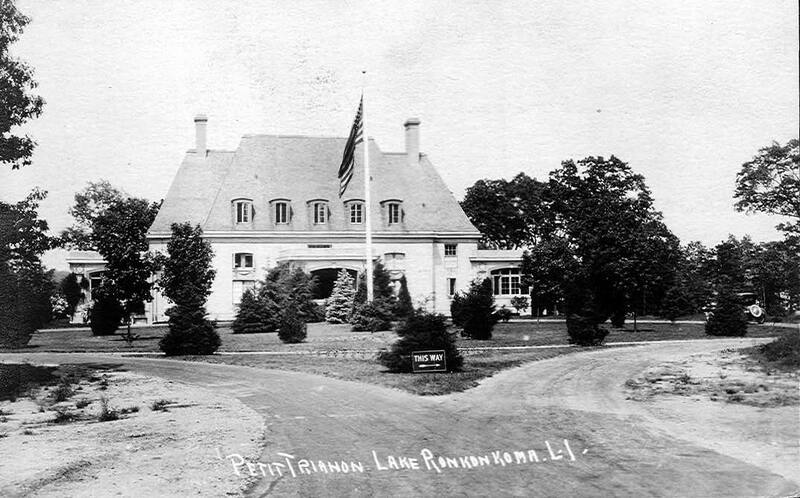 Was it the Ronkonkoma Lodge? 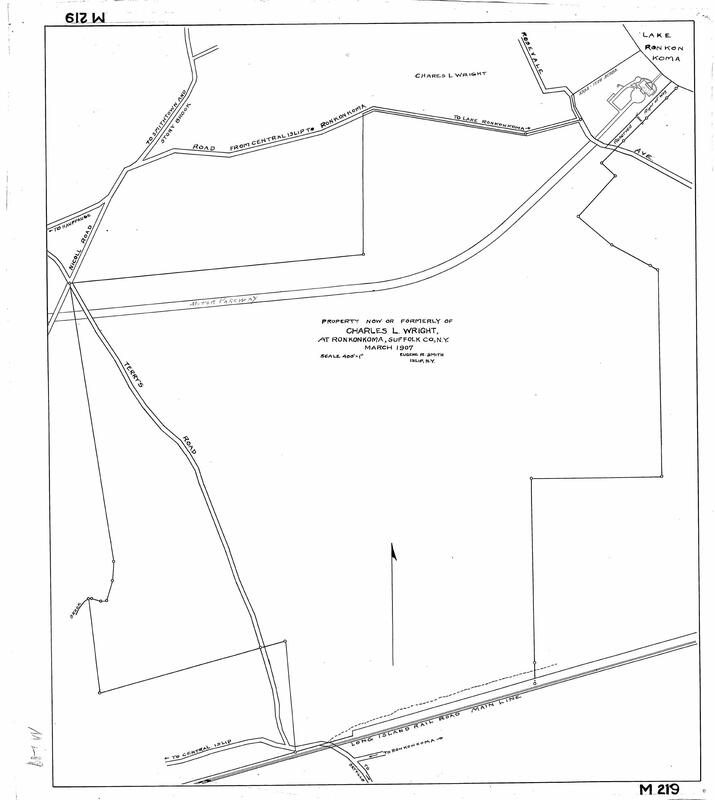 The Long Island Motor Parkway had purchased 891.2 acres in Ronkonkoma to complete the road and build a large race course for future Vanderbilt Cup Races. 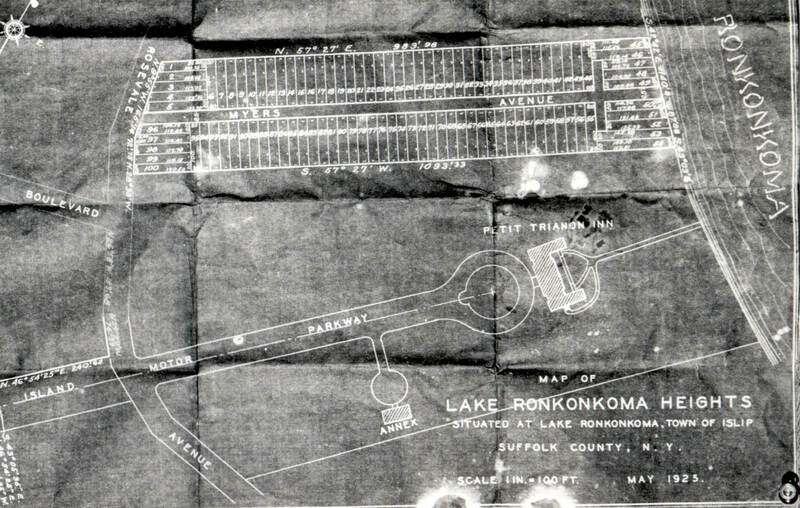 Following two fatalities and multiple crowd problems with the 1910 Vanderbilt Cup Race, plans to build the Ronkonkoma Motor Speedway fell through and were replaced by another Long Island housing development. 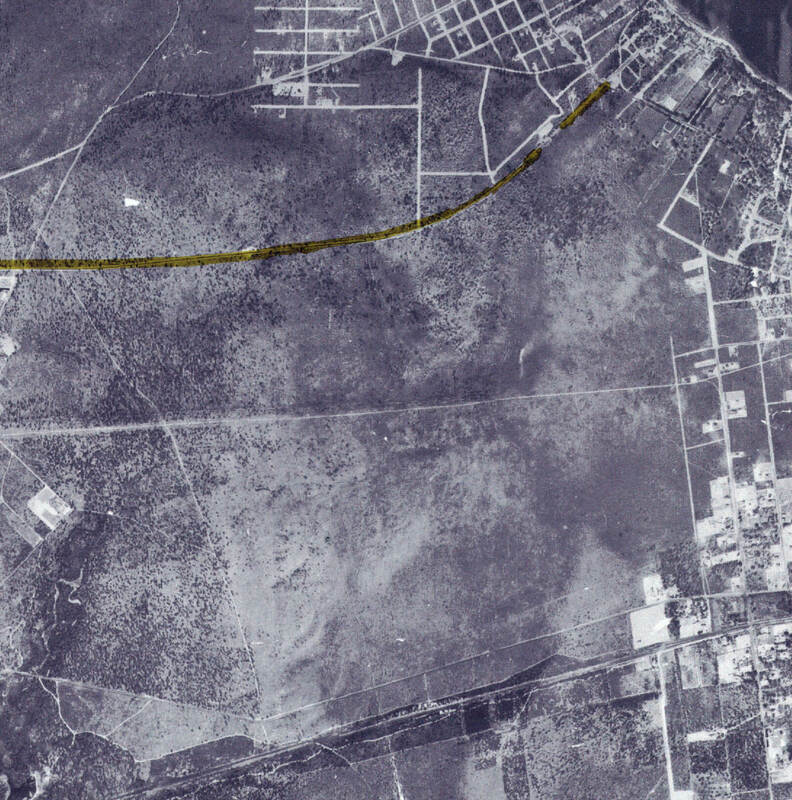 Future aerials from the Suffolk County Airmap series will reveal previously unseen Motor Parkway lodges and bridges!! 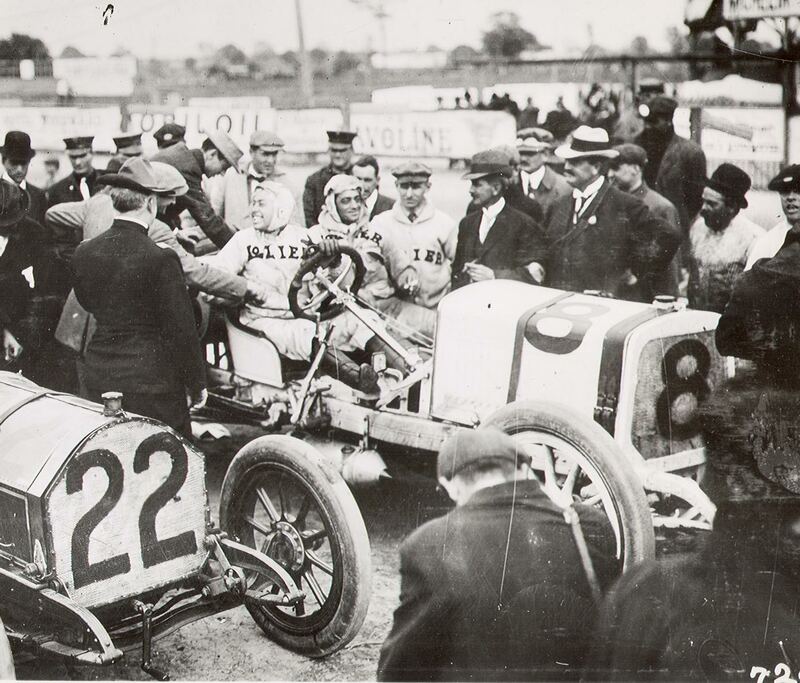 Lozier Centennial Celebration, Plattsburgh, New York, Saturday- Sunday, August 13-14, 2011, Sponsored by the Adirondack Coast Region HCCA.